Pump spray. Active ingredients are: Oil of Lemon Eucalyptus 30.0% [Approx 65% p-menthane-3,8-diol]. 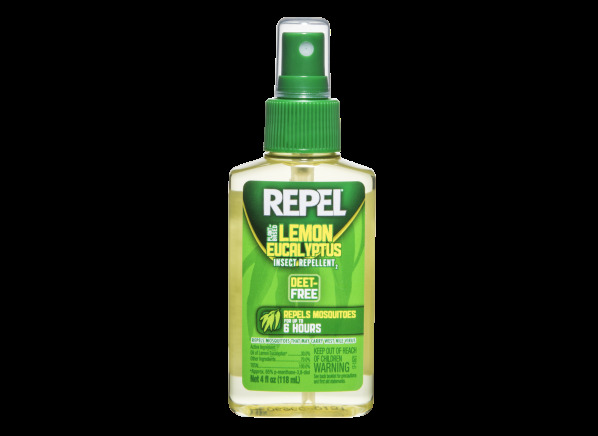 The Repel Plant-Based Lemon Eucalyptus Insect Repellent2 is part of the Insect repellent test program at Consumer Reports. In our lab tests, Insect repellent models like the Plant-Based Lemon Eucalyptus Insect Repellent2 are rated on multiple criteria, such as those listed below.